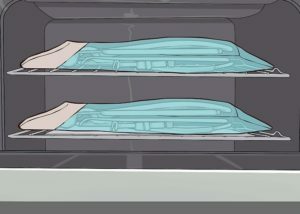 Why is autoclaving so important for preventing infections? 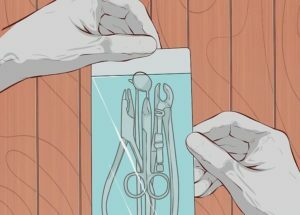 As podiatrists we will often get asked if we sterilize our instruments. The answer is YES! As part of our duty of care to ourselves and to our patients, all instruments must be sterilized to ensure that the highest level of care is undertaken through-out treatment. All instruments that come into contact with one’s skin and nails are required to undergo a sterilization process. After the completion of treatment all instruments used will often contain debris. 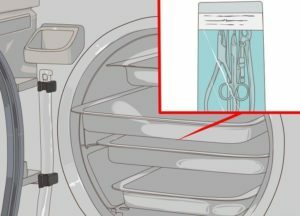 Debris may include blood, skin, and fungal spores, bacterial and/or viral contaminants which will remain present on instruments even after they have been washed and scrubbed thoroughly. By autoclaving our instruments, we remove and prevent infections such as fungal infections of both the skin and nails, hepatitis and HIV from being transmitted between patients through instruments. By making sure that all of our instruments are washed, dried, inspected and bagged correctly as well as autoclaved at 134 degrees, this allows for any bacterial, viral and/or fungal spores to be killed due to the excessive temperatures. 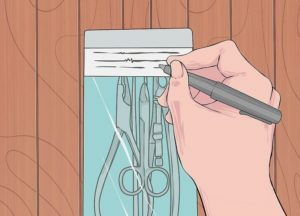 All instruments will remain sterile until the bag has been opened in front of our patients. 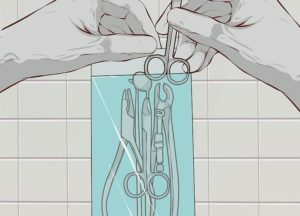 This is why it is so important that when you visit nail salons you have your own instruments or they are sterilized to ensure that infections aren’t developed. So instead of visiting your nail salon, next time why not come and see one our friendly podiatrists to have all your needs addressed. This article was written by Lauren, one of our skilled Podiatrists. To book in with Lauren either give us a call or book online and select ‘Lauren’ as your practitioner.